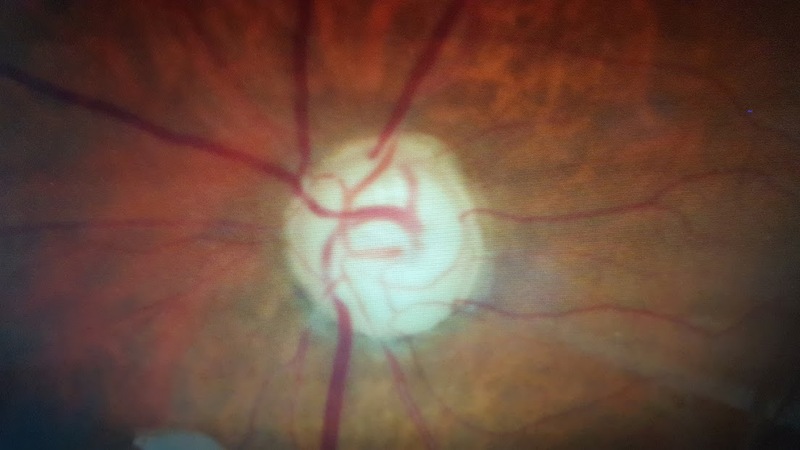 60 year old with black man presents with gradual loss of peripheral vision; IOP 12 mm HG OU on no meds. 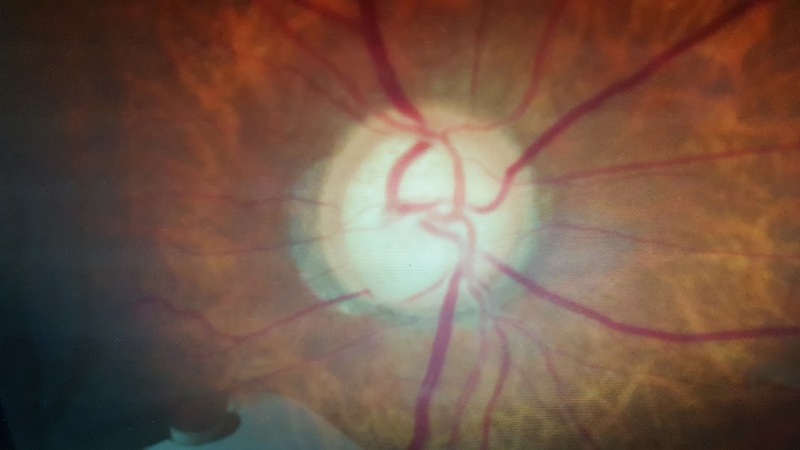 Optic nerve and OCT attched. How do you like to work up this patient ? What is teh differental diagnosis? 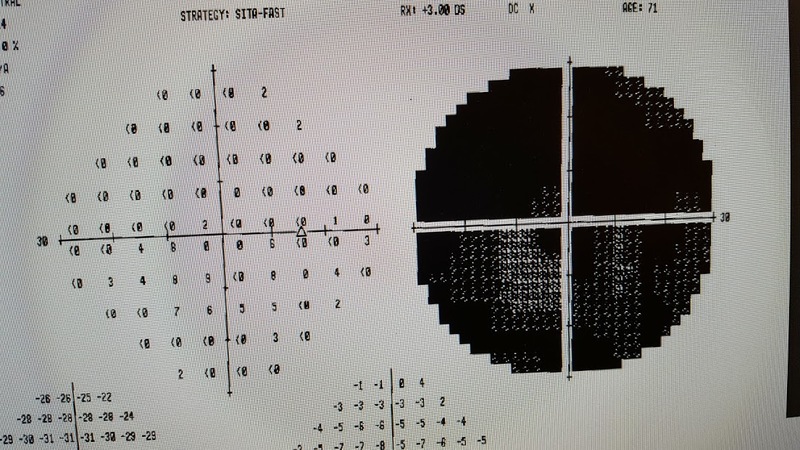 The visual fields suggest diffuse vision loss in both eyes, and the MRI shows a mass in the area of the chiasm. 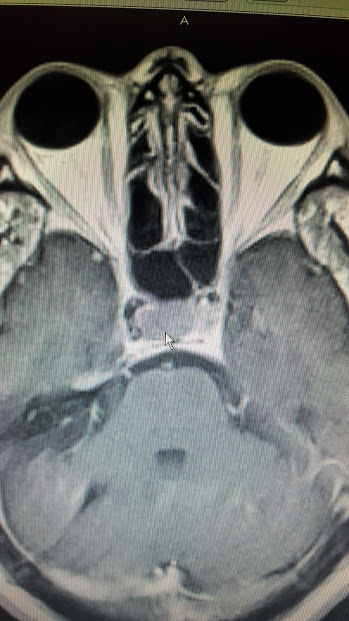 The patient likely has some form of pituitary adenoma and needs to be referred to neurosurgery and endocrinology. Dr A: Good discussion so far. We did do the serial tonometry and red color testing was done. IOP was below 20 through out the day. Red color was described as red and the patient could not tell us if the the red was dark or dull. Please review the MRI and the attached HVF. Where do we go from here? Good point Josh!. 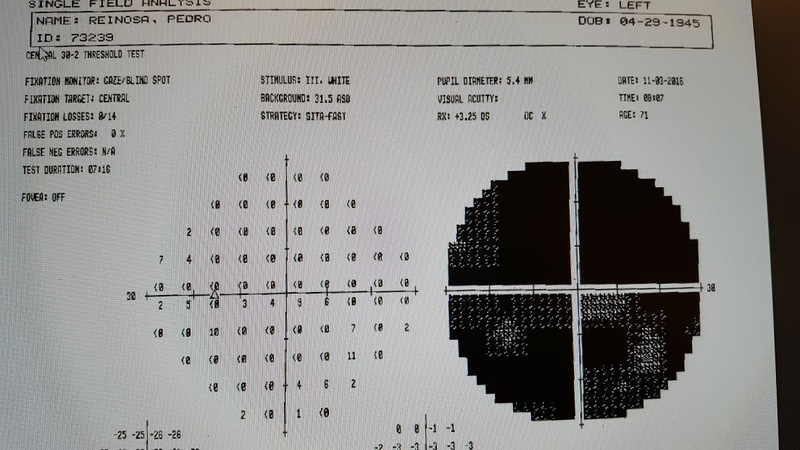 I would definitely order MRI....stat, as well as visual fields. If normal, I would then do a comprehensive glaucoma work-up. I would also check color vision with ishihara, ask about family history, check serial tonometry and get pachymetry. 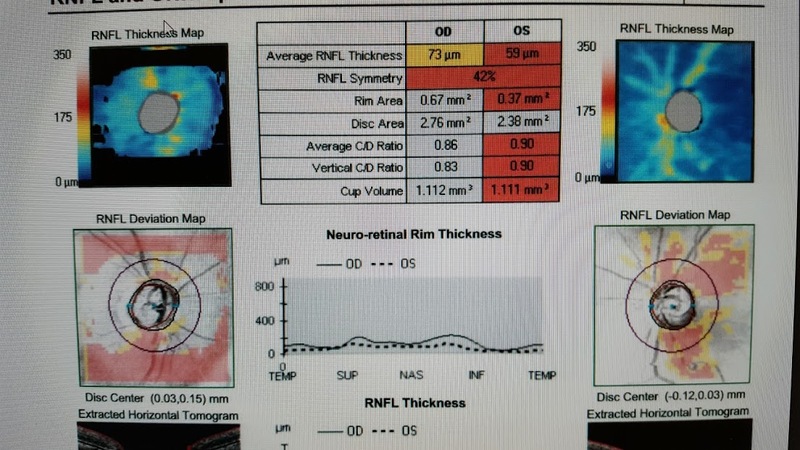 DDx normal tension glaucoma vs compressive optic atrophy from a tumor vs other causes of optic neuropathy (toxic, vascular, inflammatory).